A difficult, but striking three-shot hole starts with a nice, wide fairway. 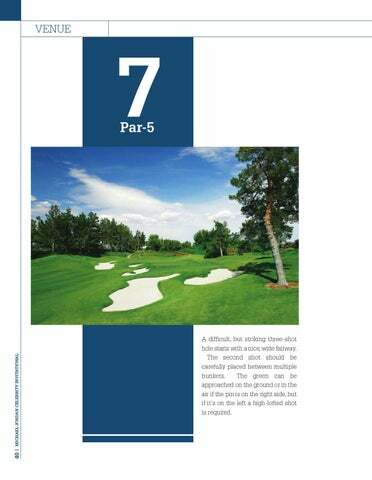 The second shot should be carefully placed between multiple bunkers. The green can be approached on the ground or in the air if the pin is on the right side, but if itâ&#x20AC;&#x2122;s on the left a high-lofted shot is required.